Enterprise resource planning (ERP) is a business management software for companies that collect, store, manage and interpret data from a host of different business activities typically across their wide spread supply chain. Enterprise Resource Planning’s are typically used help extend visibility to organisational processes that involve inventory management, inventory purchasing, product planning, production run or service delivery, customer relationship management and logistics management. Enterprise resource planning’s tend to be very complex systems with a great number of gaps when it comes to helping companies keep an accurate account of their performance or profitability. Manufacturers and distributors are always looking for ways to improve inventory management processes as it enables more effective customer service and improved profits across their supply chains. The right software solution can undoubtedly improve your business operations, however, one dilemma many companies face is to choose what is the right approach for their business; to add-on to their Enterprise Resource Planning or replace it entirely. Is it better to add-on to your current system by purchasing third party solutions or is it better to replace the whole ERP system with a new, including more advanced inventory management functionality? Changing your enterprise resource planning system is often equated to open-heart surgery as it is a project you do not undertake lightly and one that likely impacts nearly every staff member in your organisation. Not too mention the cost implications of overhauling such a complex project to the enterprise. It might be a necessary to consider a full replacement if your current system cannot meet your specific needs in other areas such as financial reporting. For many companies, their current ERP software is working very well, however, it is either insufficient or lacks critical functionality for planning and replenishment of inventory. If this is the case, it’s often worth evaluating add-on system functionality that can help you meet your specific needs and goals. 1. Does your current enterprise resource planning system accurately forecast replenishment calculations? 2. Do your warehouse(s) pile up with lots of excess stock that didn’t need to be ordered? 3. How much stock could you actually reduce without sacrificing order fill rates or customer service? 4. Are you stocking enough high demand inventory to maximise inventory turns? Implement these best practices with your ERP! 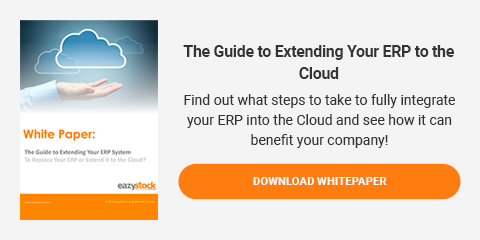 Download your free white paper on optimising your ERP and eliminating gaps here!